Lucky Thrillz Casino have done a lot of things right when creating their site. The welcome package they offer is certainly one. The reason for this is they’ve created a package which gives you the choice of not one, but two special bonus deals! The first bonus they offer is named the lucky bonus. This is just a simple 100% matching deposit bonus on deposits as high as £150. 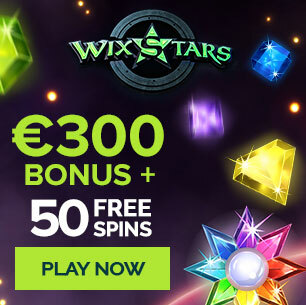 This alone is a pretty reasonable deal but they also throw in 100 free spins on NetEnt’s Starburst slot as well to sweeten the deal. The second bonus of theirs is arguably the best of the two, it’s definitely the most valuable anyway. This is called the thrill bonus. This bonus has a minimum deposit requirement of £50 however you can go as high as £300 if you like too. In return, Lucky Thrillz Casino will match any deposit you make on the site PLUS they’ll throw in 100 free super spins as well. A super spin is essentially the same as a regular spin except it’s at a £1 stake. This means for even as little as a £50 deposit, you’ll be getting £100 worth of free spins. That doesn’t even included the £50 free cash either! All in all this means there’s either 100 regular spins or 100 super spins to get with Lucky Thrillz Casino. Something we can only describe as fantastic!